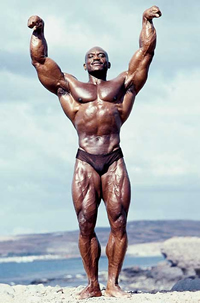 For the lovers of fiercely independent spirit, no one occupies place better than Sergio Oliva. Nicknamed as “The Myth” by bodybuilder and writer Rick Wayne, Oliva stepped in this world on 4 th July, 1941 in Cuba. He spent his childhood years up to the age of 12 while working in the sugarcane fields along with his father. But for a gifted athlete like him, it was just impossible to hide the talent. Soon, Olive realized that his involvement in state-sponsored sports could be his ticket to fame. From the starting years of his career as an Olympic-style weightlifter till the end as a prominent bodybuilder, Olive occupied the centre stage as a king. Blessed with an almost preternatural combination of strength, speed and flexibility, he has various crowns under his feat. Sergio is the only bodybuilder who wins all the top titles in all four major BodyBuilding federations. Not only this, he is the first black athlete who wins Mr. America, Mr. World, Mr. Universe and Mr. Olympia titles. Retiring from the bodybuilding's competitive world even after 18 years, one can still feel the spark of Sergio Oliva's strength at shows, in gyms or on bodybuilding message boards- anytime and anywhere whenever his name is invoked by those in the know.